Designed to help its audience prepare for a lifetime of success, Compounding Your Confidence is an empowering self-help work. 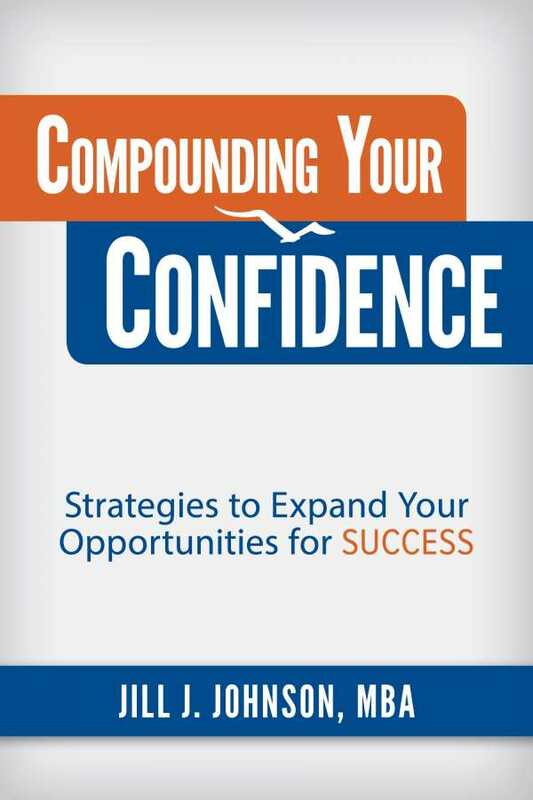 Business management consultant Jill Johnson outlines a clear, constructive strategy for the lifelong work of building confidence in her thoughtful book Compounding Your Confidence. Confidence isn’t magic, the book declares, but it is important. Yes, a lot of other factors go into meeting goals and finding opportunities to excel, but feeling confident even when you’re facing difficult situations makes reaching your goals that much easier. The book breaks confidence building and dream reaching down into a process of effective self-exploration coupled with thoughtful preparation and consistent practice. It is designed to help its audience slowly build self-assurance in business and other areas of life and is especially aimed at those for whom a lack of confidence may be getting in the way. This concise self-help work, which seems particularly aimed at women professionals, forwards advice that is useful throughout a career, both for those just starting out toward their goals and for those whose careers might have stalled or gone in a different direction from what was planned. Its tone is friendly, and the inclusion of confidence-boosting mantras and leading questions will help with building a foundation for greater confidence. With its bevy of engaging examples, the book uses personal stories to forward lessons about going after particular goals with conviction. Sometimes, it is a little too focused on personal experiences, though. Confidence is examined through narrowly focused accounts—feeling nervous to perform at Carnegie Hall; successes at gymnastics meets and high school conferences—that potentially limit the sense of accessibility with the surrounding advice. More useful is the last chapter, which includes a long list of questions to help develop a confidence plan by determining current strengths, weaknesses, goals, and areas where more confidence might be needed. It will prove particularly helpful for those who already have goals in mind but who need to put those goals into sharper focus. This late workbook quality is compelling, encouraging, and constructive, and will be the most beneficial to those who are struggling to find confidence. The book argues that being prepared is key. Gaining skills and connections helps to build confidence, and each success increases one’s self-assurance, making future accomplishments all the more likely.